This prestigious 5-star hotel will appeal to guests seeking high quality accommodation and service, twinned with luxurious facilities. 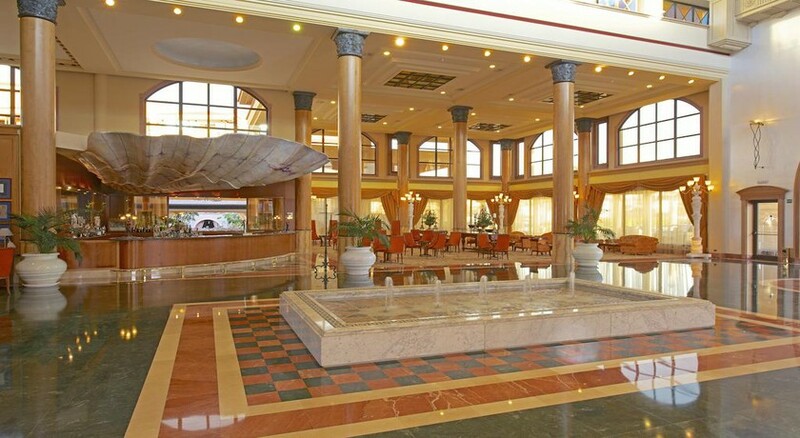 Add to that its seafront location and proximity to a good range of sports activities and it s understandable why this hotel enjoys such a good reputation. Extensive gardens surround the 2 freshwater pools, one of which is for the exclusive use of guests in the Suite building. The large free-form pool measures nearly 1500 sq.m. and is surrounded by sun terraces with sun loungers and parasols, so there s plenty of space to relax in peace. Sports facilities at the Grand Anthelia include a grass tennis court, bowls and table tennis. Within 13 kms there are no less than 5 golf courses, as well as a diving school offering courses for beginners and experienced divers in nearby Puerto Colon. For those who prefer to explore dry land, the nearby bike company will deliver bicycles to you at the hotel and arrange all types of day trips as well as paragliding for a truly different experience. Watersports are particularly popular in the Canary Islands and if you haven t tried windsurfing yet, then now s your chance to learn from the experts. 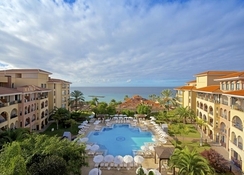 Iberostar Grand Hotel Anthelia has taken on board a new concept of caring for the body, mind and spirit. Developed from techniques and traditions from the most remote parts of Asia dating back millennia, the new spa centre Thai Zen Space offers guests a whole world of truly innovative and unexpected experiences and sensations. It is a member of ISPA, the International Spa Association, which requires all of its members to meet certain quality standards. A professional team of qualified Asian therapists from the Po temple in Bangkok is responsible for immersing guests in a world of beauty, balance, pleasure, peace and harmony, through the application of specific treatments selected according to the needs or desires of each guest. And for that all important dining experience, guests can choose from three themed restaurants - the main buffet restaurant, the a la carte restaurant, a Spanish Bodega, and the Portofino Italian restaurant. Please note that some facilities may incur extra local charges.